WinRAR is now available in a more user-friendly version and has a more attractive design. UPDATE: Thank you all for participating in this Giveaway. Congratulations to our winners and we wish everyone else better luck next time. 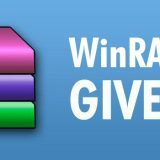 RARLAB has finally, after long anticipation, released a new and improved version of WinRAR and it brings a lot to look forward to. It was under constant development with primary goals being a better look and more substantial improvements in functionality and usability. WinRAR 5.60 now offers the most user-friendly options when it comes to managing, securing and sharing a wide range of files. What is most noticeable at first contact is the design of icons and toolbars which has been recreated according to the user’s ideas and desires. 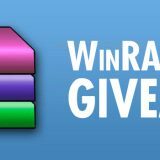 It was the WinRAR users themselves that have made the final decision on its design that is to present WinRAR 5.60 in this new version. 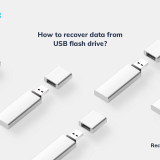 Furthermore, even more, substantial are the usability enhancement which refers to the repair command, decompression password dialogue and a full archive name which is now displayed when you run your mouse over an archive. That is, of course, useful and more convenient for archives with lengthy archive names. Lastly, recognition of different encodings is now also made possible and this includes encodings such as ANSI (Windows) and OEM (DOS) as well as UTF-8 and UTF-16. 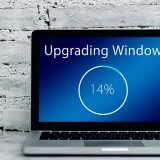 More details about the new improvements are as always available online so that every user can access it and find the information they require on the updates made. In conclusion, the new version of WinRAR should most definitely make everyone’s lives easier as this is one of the most commonly used application and improvements were awaited with eagerness. It is also important to note that it is available in over 40 different languages and has a very wide range of compatibility, from Windows, Android, Linux, FreeBSD to MAC OS X. The complete list of all improvements and bug fixes can be found HERE. You can download both x86 and x64 versions of WinRAR 5.6 HERE. Also, please leave a comment below with your full name and email (email will remain hidden). Winners will be announced on September, 2nd. Thanks for the best archiver program’s raffle! Winrar is only one, the best. Thanks for the giveaway. 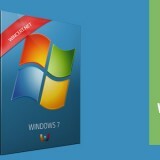 I do LIKE on Wincert and Winrar Facebook. WinRar is the best archiver. Thank you Nik & Wincert. Thanks for the giveaway for Winrar. Great giveaway! Thank you. Already like the fun page. I first tried WinRAR 19 years ago, thx for this chance!!! What a great gift! Thanks. Hope I win one copy. Would love to have a license! Vielen dank fur das verlosen. Thank you for this raffle Winrar. Superb, thanks. I hope to be among the lucky ones. Thanks for the giveaway. I saw this post from WinRAR facebook page. Very useful program that has very little alternative. WinRAR is still the best. Thanks, generous contest this. Entered myself. New encoding addition is excellent. Looking forward to using this new version. The best compression software in the world! Thanks for this winrar campaign. RARLab make quality product, new 5.60 version is very promising in many aspects. Recreated design & icons are a charm. Improved user friendly experience. Would be very cheerful if I win. Thanks for all. Like the new UI, improved speed & file support. Really the best archiving solution. I have used Winrar for as long as I have had a pc. Excellent, thank you very much for the great giveaway! Very useful app for me. Thank you. Awesome giveaway. I’m interested in it. WinRAR is very good archiver. Its also the newest version. 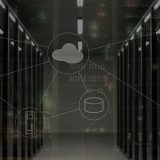 Excellent archiver without any bloats. Hope to win. I use WinRAR. Thanks for the contest. WinRaR is growing up nicely…. Thank you for the giveaway of WinRAR. WinRAR is the best archiving program. 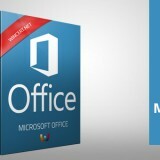 This is a very useful program & this is the best in its kind. I will hope for a win. 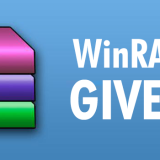 Great thanks for the giveaway Nik, WinRAR makers RARlab & Wincert forum. This will be so useful for me. Thanks Wincert. WinRAR is really good for archiving many file types. Thanks Wincert for this nice contest and chance to win! Great chance this, to win a Winrar license. Thanks for this chance. I really like this little but so useful program. Thanks for the giveaway!!! I like the improved interface. WinRar offers a full list of quality ZIP features and supports a host of extraction formats. There is also a drag-and-drop feature and Archive Wizard. WinRar offers a full list of quality ZIP features and supports a host of extraction formats. Thanks for the giveaway! WinRAR is the best! I hope to win. Thanks for an excellent giveaway. Please count me in the giveaway. Thanks WinRAR and Wincert. I use 7Zip. I want to use WinRAR. Thanks.